Alizon's Psychic Secrets Newsletter, Issue #001 -- Yule - and What's a Blue Moon? Join the Green Witches Coven. Learn White Witchcraft and become a Witch. It costs nothing! We're fast approaching a very exciting time ahead. The holiday season is about to descend upon us and we have the festival of Yule to celebrate. Yule pre-dates the Christian festival of Christmas and was - and still is - celebrated by Pagans. It is a joyous time and marks the end of darkness and the beginning of light. It is celebrated on the 21st December, the Winter solstice and marks the longest night and the shortest day. To recreate an ancient ritual celebrating Yule and at the same time bringing you plentiful good luck you can light a special Yule candle (any large red candle will do) each evening from the 21st December right through to December 31st. You can place your candle safely amidst holly, mistletoe and pine cones to make a central display in your home. Please take very special care with lit candles, won't you? The 31st of December this year (2009) not only marks the end of the Yuletide season and New Year's Eve, but also the date when the very rare Blue Moon occurs in the night sky. A Blue Moon, like the expression states, happens only "Once in a Blue Moon" and occurs every two and half years or so. This time it falls on the rather special date of 31st December. On this day it is the most perfect and ideal conditions for Spell casting. If you haven't already, take a look at my Blue Moon Spell Ritual. Don't miss out on the specialness of the Blue Moon. Try to do something of real importance on that day, set yourself goals, write down your New Year resolutions or begin a project you have been planning. I'm putting the finishing touches to my Dreams section and I'm sure you'll find it interesting and informative. 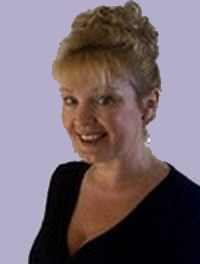 The section on Psychic Dreams and how you can experience, enhance and interpret them has been particular popular. There's a Dream Dictionary too, for you to discover the meanings of dreams from A-Z. Another recent section you may not have come across is that of Runes. Runes are of course a tool for divination that can be traced back to ancient north European history and mythology. Throughout the Runes section I explain the meanings of all 24 of the Runes and how you can interpret them in a Rune Reading, use them in Magic and find out their correspondences. Using the special password, provided exclusively for Alizons Psychic Secrets Newsletter Subscribers, you can benefit from heavily discounted services and products direct from Alizon's website. This month's offer can be found HERE. These messages and premonitions are born of insights that come to me about people in the world who are open and free to receive and send their spiritual energy. Check them carefully - there might be a mesage for you. Don't hesitate because he is waiting for you to call him. You have suffered loss recently, but someone will come forward soon to love you and look after you. Some recent communication has upset you, but it was necessary so that you can see people for who they are, and you won't be misled again. 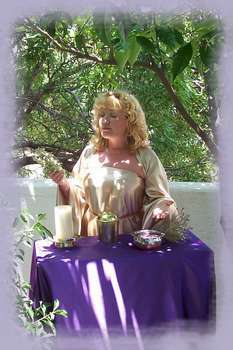 Michelle receives a powerful Spell Infused Pentagram for protection, power and attraction.